Both are Dentures as they replace missing teeth and are removable. 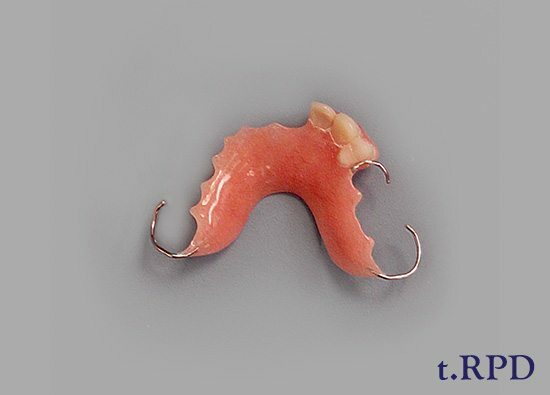 However, a partial denture only replaces the missing teeth for patients who still have some of their teeth remaining. An RPD is preferable to a complete denture because it can hold onto the remaining teeth via clasps, thus, making it stay more still and stable for speech and chewing. A. Temporary, or Transitional RPD (t.RPD), which is made of all acrylic or plastic. It is sometimes in layman terms, erroneously, referred to as a “Flipper”. B. 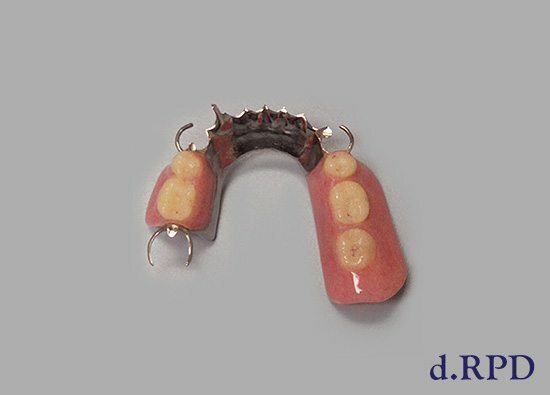 Definitive, or Permanent RPD (d.RPD), which is made of better materials and requires a five appointment technique to develop a custom made prosthesis. A. Temporary, or Transitional CD (t.CD), which is made of less costly materials and in a quick one appointment technique. B. Definitive, or Permanent CD (d.CD), which is made of better materials and requires a five appointment technique to develop a custom made prosthesis. 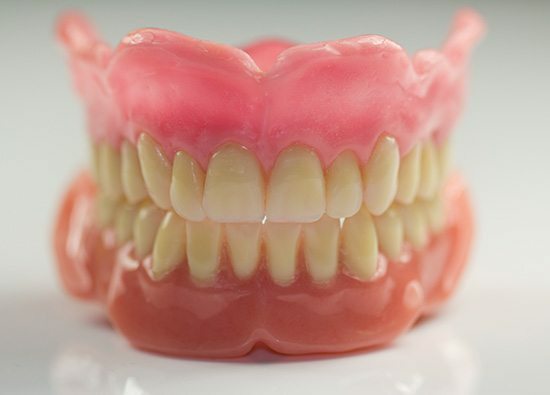 With regards to Complete/Full Dentures (CD), studies have shown that in general the person wearing them can only chew with approx 25% of the efficiency that they did with their natural teeth. While there are many people who eat just fine with Complete Dentures it does not change the fact that their chewing ability is diminished. For this reason individuals who are missing all their teeth and must use Complete Dentures are considered Dental Cripples. Thus the reason that Dental Implants are considered the Standard of Care for these persons.